Urinary tract infections are. the. worst. They're not only uncomfortable—even painful—but they're also really inconvenient. The infection occurs when bacteria travel up the urethra and multiply in the bladder, causing symptoms like burning urination, blood in the urine and low back pain. Some people would rather avoid taking prescription medication to treat a UTI and rely on natural remedies instead. Despite a lack of conclusive scientific evidence, honey has been used by chronic UTI patients to prevent and treat mild infections. 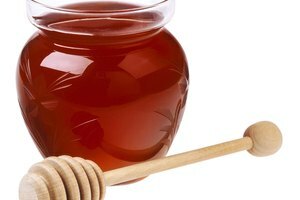 Honey is known for having antibiotic properties from the enzyme glucose oxidase. The enzyme ensures the constant formation of hydrogen peroxide—a potent antiseptic—from sugars in the honey. Honey has been shown to help wounds heal faster than some antibiotics. And unlike antibiotics, it doesn’t lead to resistance when used repeatedly, making it a relatively safe, efficient treatment for certain types of infections. Honey doesn’t harm beneficial bacteria in the body or cause unwanted side effects like yeast infections, diarrhea or nausea. It's cheap, readily available and shows no evidence of reduced efficacy over time. Scientific evidence even demonstrates its effectiveness against several strains of bacteria, some of which are antibiotic-resistant. 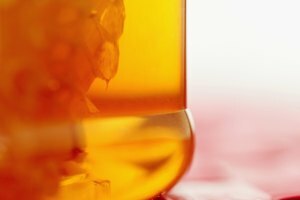 Honey may be amazing for certain types of healing, but the risks involved in using it to treat a UTI are significant and may outweigh any potential benefits. There's no evidence supporting its efficacy in treating urinary tract infections. It's not safe for children under 1 year of age and may cause an allergic reaction in those allergic to bee stings and pollen. If not treated properly, a urinary tract infection can progress quickly to a kidney infection, which can lead to kidney failure and even death. UTI and kidney infection symptoms are often similar, so timely and proper medical care are all the more important in preventing possible complications. The only proven cure for a urinary tract infection is treatment with prescription antibiotics. 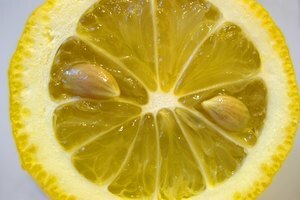 However, there are ways to help prevent a UTI or relieve symptoms with home remedies. Manuka honey is often used to treat H. pylori bacteria in the stomach and is the only kind of honey shown to have internal antibacterial effects. To use this remedy as a preventive measure, mix 4 drops cinnamon essential oil with 1 tablespoon manuka honey and consume with meals up to three times daily. Cranberry juice, apple cider vinegar and other highly acidic substances such as vitamin C help flush UTI-causing bacteria from the bladder walls; these are viable preventive measures or supplements to antibiotic treatment. Other popular remedies for a UTI include the over-the-counter medications methenamine and phenazopyridine, the herb uva ursi and B-complex vitamins.